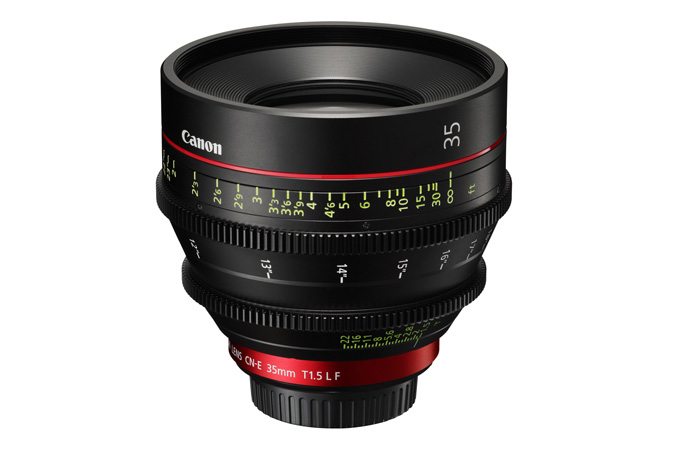 MELVILLE, N.Y., September 4, 2013 - Canon U.S.A., Inc., a leader in digital imaging solutions, has announced today the new CN-E35mm T1.5 L F single-focal-length Cinema prime lens designed for large-format single-sensor digital cinematography cameras employing Super 35mm or full-frame 35mm imagers. Delivering outstanding optical performance in contemporary 4K / 2K / HD motion imaging, the new Canon CN-E35mm T1.5 L F prime lens is the sixth member of Canon’s line of compact, precision-matched EF-mount Cinema prime lenses, which also includes 14mm, 24mm, 50mm, 85mm and 135mm EF-mount models. Click here to read the firmware updates for Canon's Cinema EOS cameras and XF-300 Series Cammcorders.